WOODHULL, NY – A second open practice session is set to take place at Woodhull Raceway. This second session is as scheduled April 13. This will give drivers a second chance to get out to test and tune before opening night, April 20. The first open practice session that happened April 6 had a good turn out. There were a good number of cars that came out to ‘New York’s Toughest Bullring’. There were cars in every division making a great turnout . 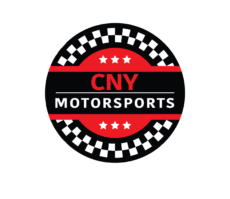 Starting at 5:00 p.m. cars from any track can come test and tune at ‘New York’s Toughest Bullring’. The session will run until 9:00. Everyone is welcome to join; pit admission will be $15 while the grandstands will be free. This will be the last scheduled practice session before opening night. Racers and fans are encouraged to come out and get excited for the upcoming race season. The season opener is slated for April 20 for supporting classes. Modifieds will have their kick off April 27.